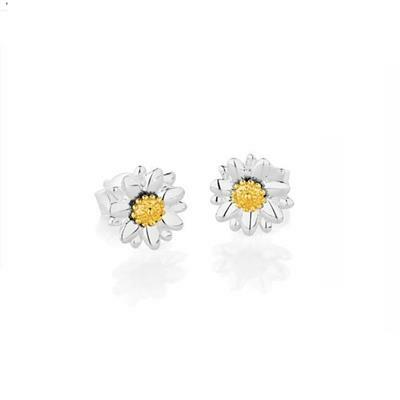 These Sterling Silver and 18ct Gold Plated Daisy earrings are a classic element of Daisy's Vintage collection. Perfect for everyday wear, these earrings look fabulous as part of a set and are 5mm wide. Inspired by an elegant country garden, these simple and distinctive pieces from the Daisy Vintage collection are quintessentially English, delicate, intricate and beautiful.